The bridge design team appointed by Wandsworth Council has recommended the landing points for the new crossing, which will link Nine Elms and Pimlico. The recommendation will be considered by a council committee next week. The recommended location crosses the Thames between Grosvenor Road riverbank west of Claverton Street in Pimlico on the north side of the river and Kirtling Street, near Battersea Power Station in Nine Elms on the south side. The design team's appointment in 2015 followed an international competition (link opens in new tab). The team includes architects Bystrup and Robin Snell & Partners; cost, environmental and transport consultant Aecom; lighting consultant ÅF Lighting, engineer Cowi; access consultant David Bonnett Associates; planning consultant DP9; and marine consultant Beckett Rankine. 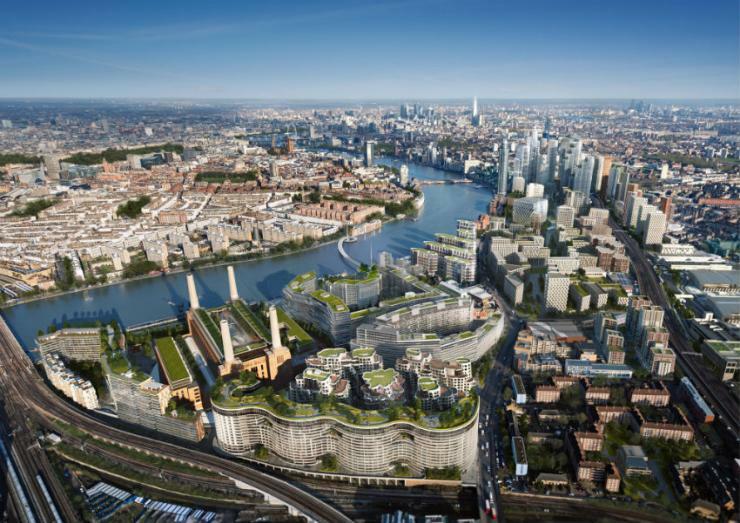 Over the next decade Nine Elms is set to become a major new commercial hub in London. The proposal for the Nine Elms Pimlico Bridge is part of a package of measures to support growth of homes and jobs in the area. Three locations for the bridge were considered, with the identified location seen as providing the best opportunity to create new, sustainable transport links connecting the Vauxhall Nine Elms Battersea development area with local neighbourhoods and communities, as well as the rest of London. Project team lead Robin Snell said: "After an extensive consultation and technical evaluation process we are delighted to be able to recommend a preferred location for the Nine Elms Pimlico Bridge to Wandsworth Council. The new bridge will be designed for pedestrians and cyclists to provide a safe, sustainable access route for all Londoners to access the new homes, jobs, leisure facilities and shops that are being created in Nine Elms and around Battersea Power Station."